It turns out that after a while, if the power cable from the display is bent near the neck of the plug, the plastic clamshell over the plug will separate. 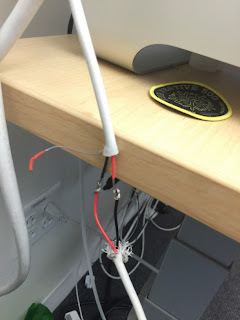 Not only that, the cord will slowly stiffen and any bending motion will detach the wires, shielding, and epoxy from the metal connector. I have no use of a dead display (and am unofficially retired from the display-splicing scene), I gave my dead 30" Apple Cinema Display to my friend. Not the 150W brick; they look similar. Source: Google Images. 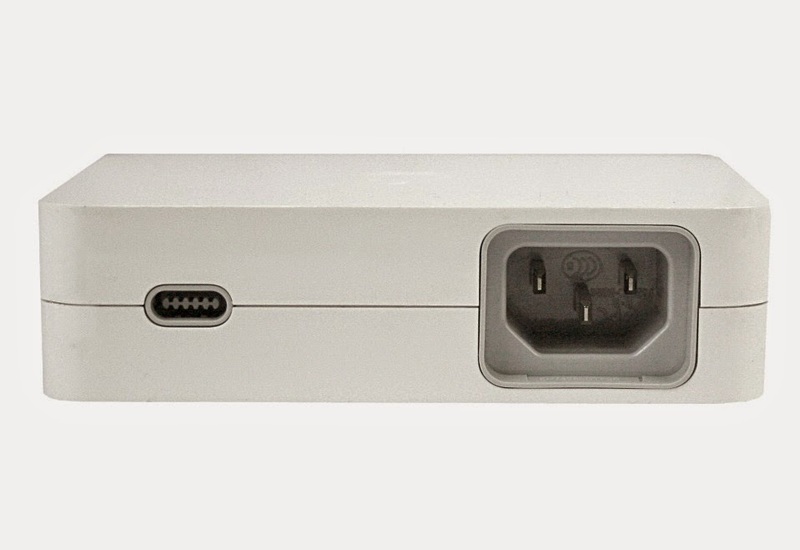 It also turns out that the Cinema Display power connector looks very similar to that of the first generation Mac mini. Recall that the mini used an external 85W power supply, where one end was a reversible female 10-pin connector (2 sets of 5 pins) and the other end was an IEC Mickey Mouse connector. In fact, that 10-pin connector is, empirically, identical to the one used on the Cinema Display. I had one of those bricks so I gave it to my friend. He quickly cut both cables, revealing a red and black cables, and a thinner gray cable within the shielding. Simply color matching and soldering the cables didn't do the trick. My friend and I tried 3 different power bricks (150W), 3 different graphics cards, and 2 computers to no avail. Metering the donor cord appeared to give a bad reading, but turns out the wiring was backwards! (Tsk tsk Twiggy/Q88 team). So soldering black to red, red to black, and ignoring the gray wire worked.